We identify market segments where we can build a following who become fans of our brands and organically create awareness. It is self-perpetuating and powerful. We build brands that create real consumer demand. Tapping into the needs and demands of todays ever changing consumer, their lifestyles and behaviour, we're able to adapt through constant innovation. If you’re looking for ordinary – look away now. Thumbs Up brings fun, quality and value to the technology and lifestyle marketplace. A fun range of mobile and tech accessories with novelty and character at its core. Scandinavian inspired smart travel accessories. The sophisticated solution for world travellers. Environmental sustainability on the go. An assortment of minimal & stylish pieces that represent the “reuse, recycle, reduce” ethos. Helping to make dinner parties exciting and the one that everyone raves about. A powerful range of multi-licensed character powerbanks created for fans of pop culture to bring you power when you need it most. The subject of comic strips and sticker sets on Facebook. This range is full of cute home, party-ware and tech accessories. 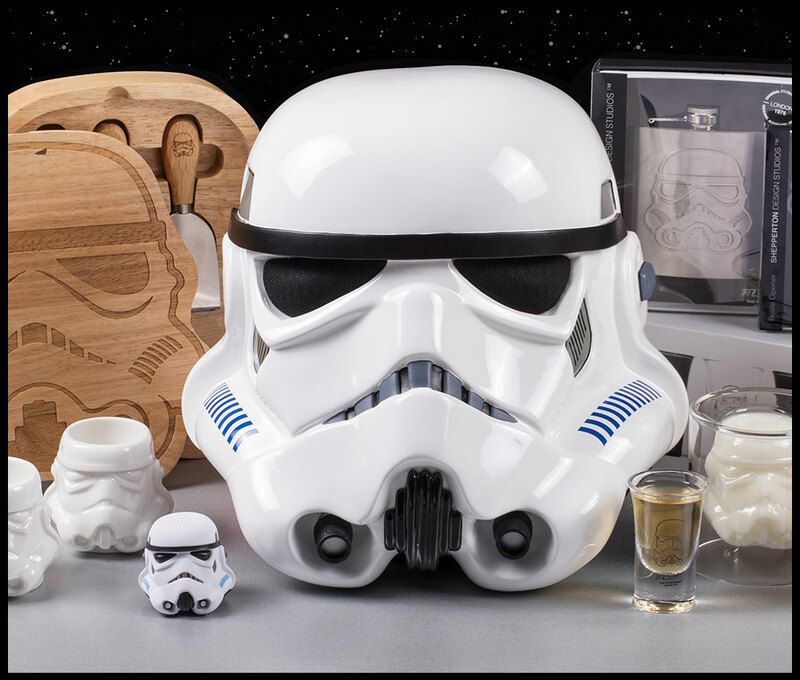 From homeware to gadgets, we've collaborated with Andrew Ainsworth, who created the armour and helmets for the original movies.